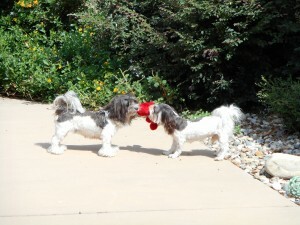 Havanese love toys, especially if they squeak, crinkle, roll, make noises or are small enough to carry with them. 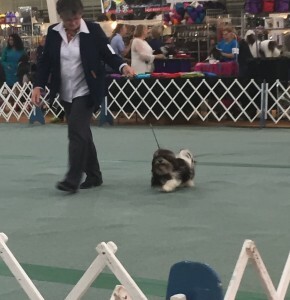 Molly is just beginning her show career and is getting the hang of it. I think she will enjoy it and we will have lots of fun with friends while working towards her Bred by Championship. 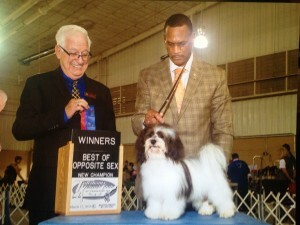 Libby finished her Championship with professional handler Hiram Stewart. 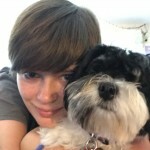 She is a sweet, active girl. Great companions! They are smart, playful, cuddly, agile and wonderful with all ages!